Spark 32GB USB 3.0 Flash Drive (PSF32GSPK3USB) is great size, nice design, but impractical chain and disappointing write speed. 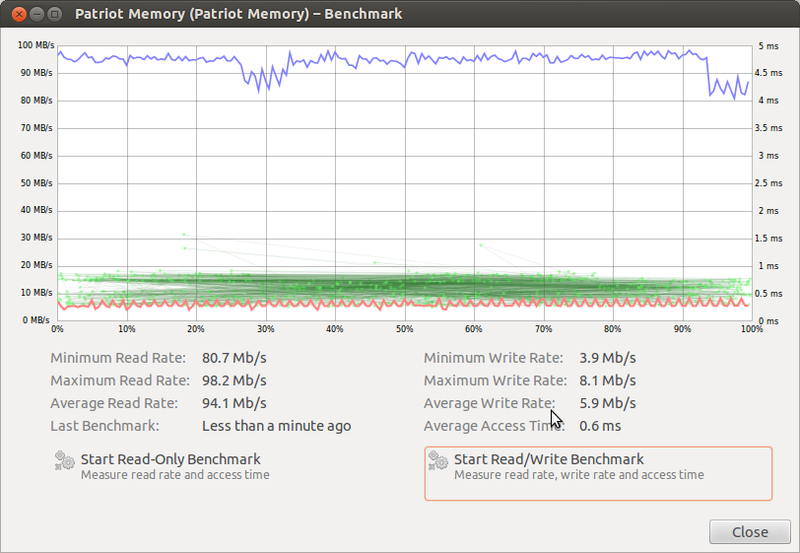 In Ubuntu 12.04 x64 Precise on HP EliteBook 8540w USB 3 enabled, bench-marking software from Disk Utility. In Windows 7 x64 HP EliteBook 8560w USB 3 enabled, bench-marking software USBDeview from Nirsoft. In reality on copying number of large media files on NTFS 64k block size it performs just over 9 MB/s, I am copying from a SSD drive with nothing just copying in active windows. 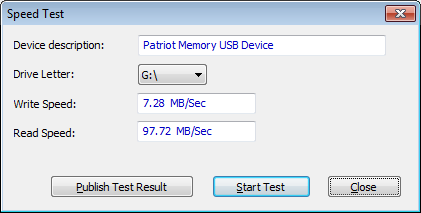 I am very disappointed, it is second-class performance, some 5 years old USB sticks do better than that, specification on manufacturers website is some theoretical read speed. USB drive is supplied with a small chain, my advice is to replace it as soon as possible, it is soft and loose.